Today, my mum and little sister, jocelyn come to meet me at Multimedia University. I really very happy :D They gave me the foods ^^ I really miss chinese foods.. I always discuss with my mum about model making..It's very hard?? :( We still think that what the material can used for my model toy? I hope that my model will be cute cute ^ ^ Jocelyn said want sleep with me in my room at hostel ..lol i said she can stay alone in my room while i go class until friday back home loh. She said i already crazy..:)) evil hehe. She 's very naughty girl than me haha..
Lowyat Plaza and Mid Valley in the half day.. 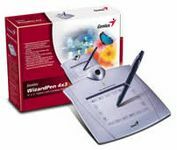 The WizardPen 4x3 is a natural pen device that makes it easy for you to draw, paint, or sign documents. The WizardPen 4x3 has a 512-level pressure sensitive cordless pen that gives you unlimited freedom, and up to 4064 LPI high resolution in a 4 x 3 working area. You can customize the pen button for fast browsing up/down, left/right in the Internet or in Windows documents. You can also make handwritten notes or drawings on the Internet or in any application program. This small remarkable WizardPen 4 x 3 is great to take with you anywhere and is easy to operate. So be different, and get the WizardPen 4 x 3, and explore a total new world!